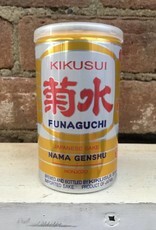 This is an unpasteurized (nama) and undiluted (genshu) sake. When sake is left unpasteurized it needs to be kept cold or be completely sealed from contact with air, hence the choice to can this product instead of a more common glass cup. A portable container in a perfect single serving size, or as the Japanese call it, a gō. Drinks moderately sweet, ideal for pairing with spicy cuisine or alone. 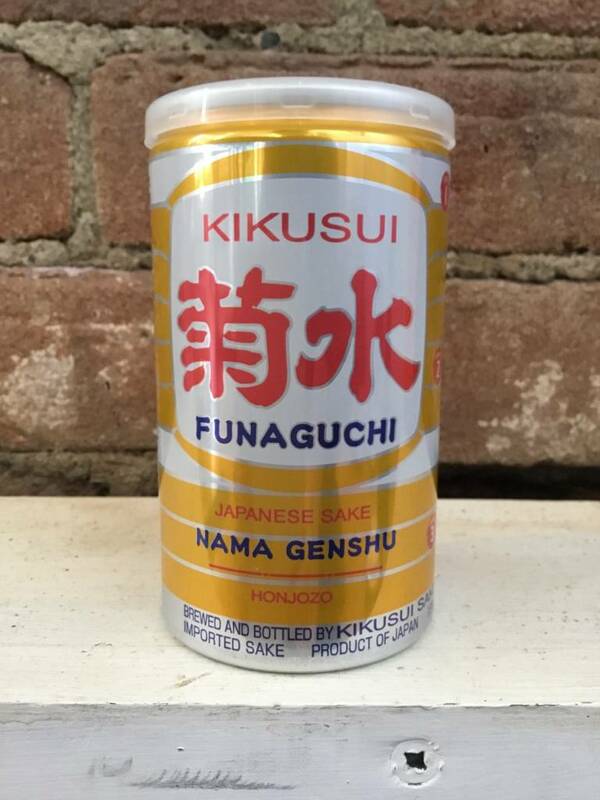 Kikusui is certified organic in Japan, but U.S. regulators would let them market it as such in America, but we know what's up. "Since Funaguchi's birth in the 47th year of the Showa period (1976), it has become beloved all over Japan, popular for home and restaurant consumption, and even as a portable treat for hikers and mountain climbers. Full-bodied, and full of the fresh flavor of ripe fruits. Pop open an ice-cold Funaguchi to experience one of Japan's most popular and unique offerings for yourself."